A favorite cut of steak can become quite intriguing, especially if you’re a steak connoisseur. 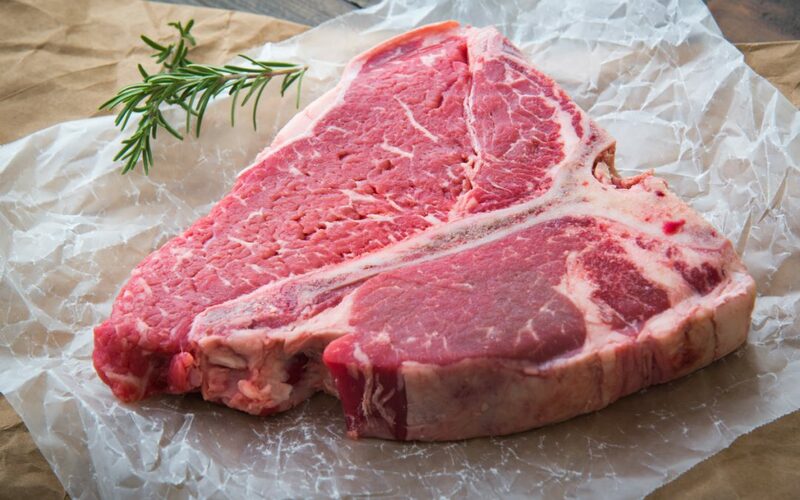 A funny comment was overheard about someone who doesn’t like to eat a New York Strip, but a T-bone is a favorite choice cut. If you’re not familiar with the anatomy of the primal cut of a T-bone steak, the humor may be lost. What a lot of people don’t realize is the T-bone is a two-for-one choice cut. The famous T-shaped bone divides this prime cut of meat into two very different parts, one being of a tenderloin filet and the other is a top loin, which is better known as the New York Strip. The New York Strip is moderately tender with a bit of chew. While it’s not as fatty as other cuts of meat, it has great marbling throughout to bring out its beefy flavor. New York Strip is easy to cook, and easy to eat. The tenderloin is the most tender, buttery, melt in your mouth cut of beef. If that’s not enough to satisfy your craving for sizzling succulence, it’s also low in fat. Often paired with flavorful sauces, the tenderloin is a highly prized choice cut of meat. Another cut of steak that shares in the T-bone feature is the Porterhouse. Both steaks are cut from the short loin section of cattle, with one side of the T being a tenderloin filet and the other a New York Strip. The difference between the two is the U.S. Department of Agriculture’s Institutional Meat Purchase Specifications state that the tenderloin of a porterhouse must be at least 1.25 inches (32 mm) thick at its widest, while that of a T-bone must be at least 0.5 inches (13 mm). When it comes to taste and tenderness, there’s no better way than with our dry-aging process. Dry-aging is a carefully managed, temperature and humidity controlled 30-day process where meat is tenderized while oxidation and a breakdown in enzymes bring out its flavor. For more information about our dry-aged, grass-fed beef along with some dynamic cooking tips be sure to check out our website.